Montclair Planning Board approves application by Sustainable Sanctuary Homes for 92 Elm Street. Now, there will be three separate building lots. Montclair Planning Board approves application for 92 Elm Street. On Oct. 5, the Montclair Planning Board approved the application made by Sustainable Sanctuary Homes, LLC to sub-divide 92 Elm Street into three separate building lots. They also approved a variance on two of the lots which was required due to the fact that those two lots do not face on a public street. Sustainable Sanctuary Homes is an organization whose goal is to create properties that have classic exteriors and outdoor spaces scaled to fit the neighborhood and site while being very energy efficient and low maintenance. 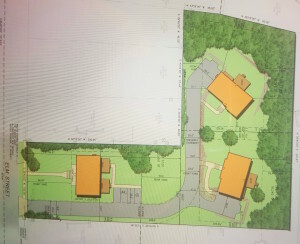 Sustainable Sanctuary Homes will subdivide the flag-shaped property at 92 Elm Street into three lots with two single-family homes in the rear portion of the property and a two-unit condominium directly on Elm Street. 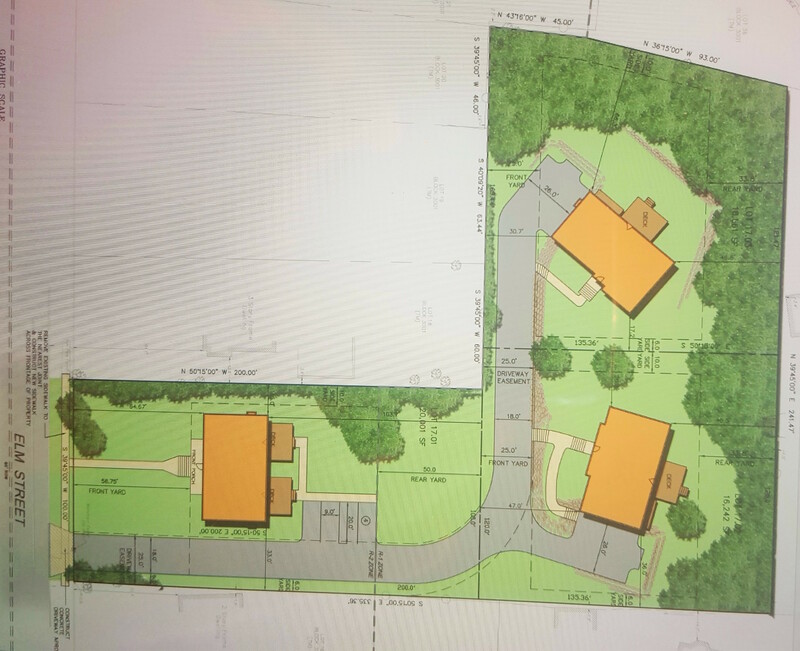 The two single-family homes in the rear of the property will be cottage style and have four bedrooms, three full baths, and a sub-surface two-car garage. The two condominium units are part of single structure that looks like the neighboring “four square” style homes on Elm Street. These units will have three bedrooms and two and a half baths plus an attic and basement. The detailed site engineering plans presented on Oct. 5 were well received by the 92 Elm Street neighbors that attended the meeting and those plans were unanimously approved by the Montclair Planning Board. Liedtka also noted that developers are required to notify all neighbors within 200 feet of the property of the upcoming Planning Board review so that neighbors and the public can attend and voice their approval, concerns or questions about the proposal. Liedtka chose to provide a detailed description of the plans in the required notice to the neighbors and also met with a number of neighbors ahead of the meeting to answer their questions and address their concerns. Ground breaking for the 92 Elm Street project is expected to begin this winter and the two rear homes are expected to be ready in the spring of 2016. Both the foundation of the homes and the homes themselves will be factory built and installed on the site. This approach reduces the overall construction timeframe, minimizes construction waste and limits the overall impact of the construction on the site and the neighborhood. All the homes will be certified as “US EPA Energy Star Blue Label” which is the most widely recognized program for rating the energy efficiency of homes. For more information on the project visit sustainablesanctuaryhomes.com.